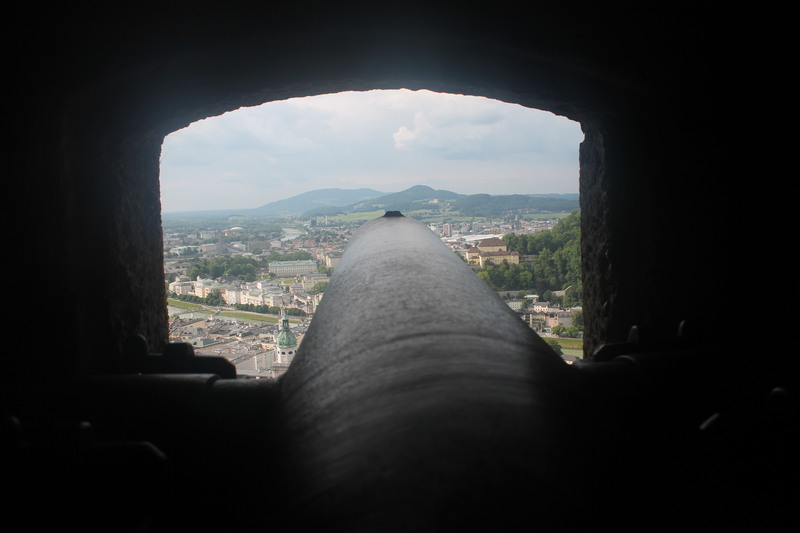 Last weekend I ventured back into Austria for a short day trip across the border to Salzburg — what many people call the “land of Mozart” and was the setting for “The Sound of Music”. For me, this was a completely unplanned trip (unlike me) but it was a great getaway from a very quiet Garching, the busy Munich centre and explore something new and different. 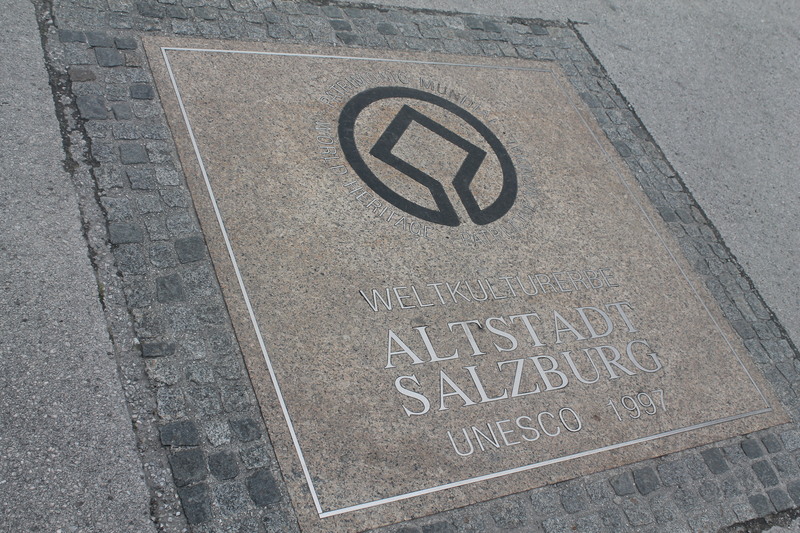 I’m a great fan of classical music, including Mozart, so I felt it would be a wasted opportunity not to travel to this famous city which is a mere hour and forty minutes from Munich. 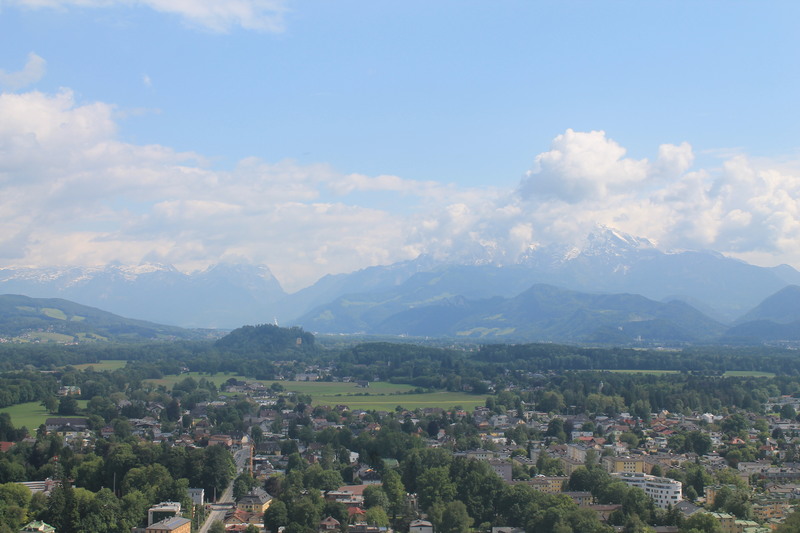 And with the Bayern (Bavaria) ticket, it makes it more than worth a short visit for just 23 EUR to travel all across Bavaria which includes Salzburg — a stone’s throw from the German-Austrian border. To my great surprise, the weather seemed mostly on my side. 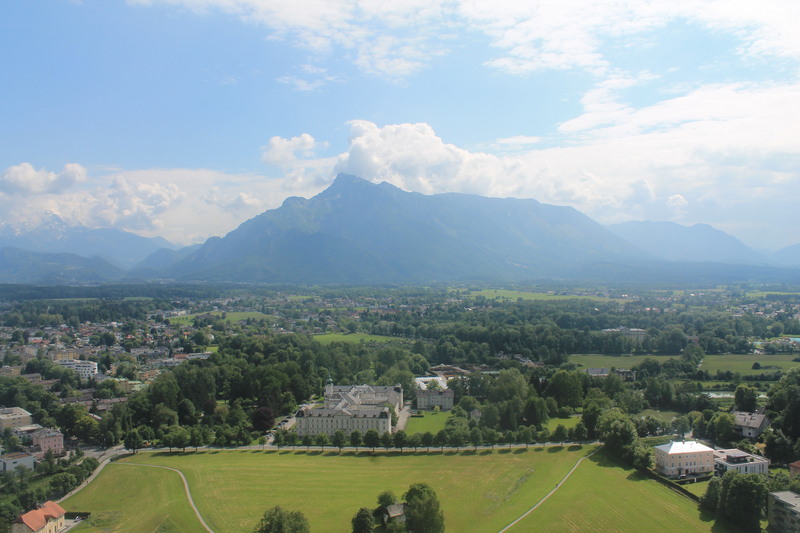 The short train ride made for some great views and as I arrived in Salzburg, there were some stunning old markets with a mix of Austrian, German and Italian treats. Entering the old town (or “altstadt”), I wandered around the cobbled streets and took in the baroque architecture — magnificently preserved in this unique city, offering a multitude of colour. The old town seemed fairly easily to navigate; small enough that you don’t easily get lost. Despite its small scale, there is a huge wealth of culture, which unfortunately I didn’t have the time to fully explore. I stumbled upon the Residenzplatz, the city’s central square which played some great jazz music and made for a very nice stop. I love castles, so the visit wouldn’t be complete without visiting the city’s fortress. 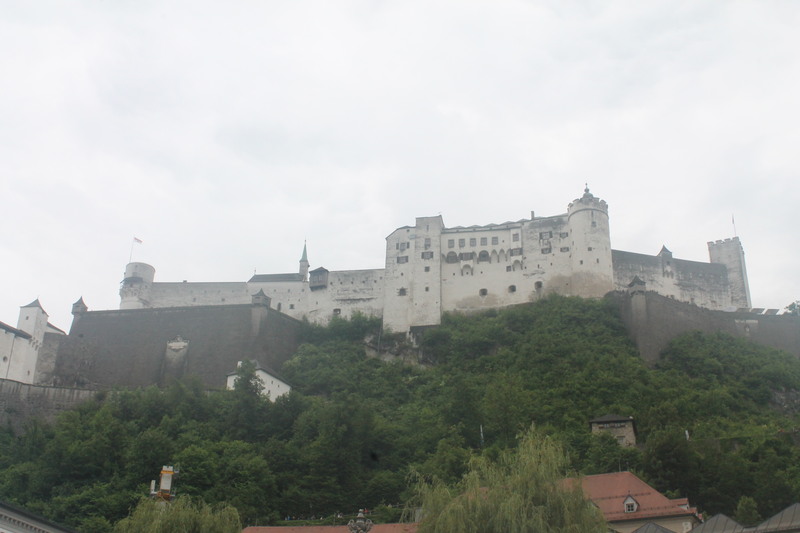 As seen from Residenzplatz at the top of Festungsberg, a small hill, lies Festung Hohensalzburg (or “High Salt Fortress”) — one of the oldest medieval castles in Europe. It’s a pity I couldn’t get a better picture of the castle! It was cloudy as I went up (although it had been sunny as I walked through the old town) and then it rained as I came back down. Luckily when I reached the top, it made for some stunning views of the surrounding area. 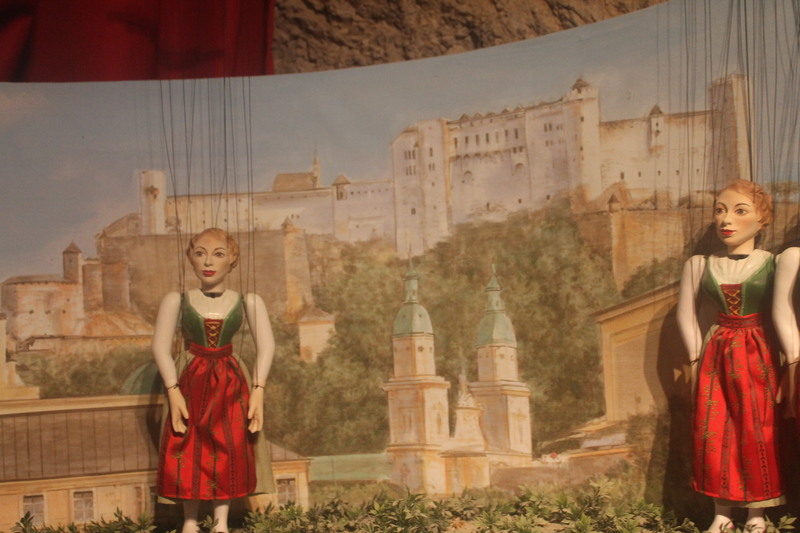 Inside the castle, there is a small area which shows “The World of Puppets” and includes Maria von Trapp from “The Sound of Music”. 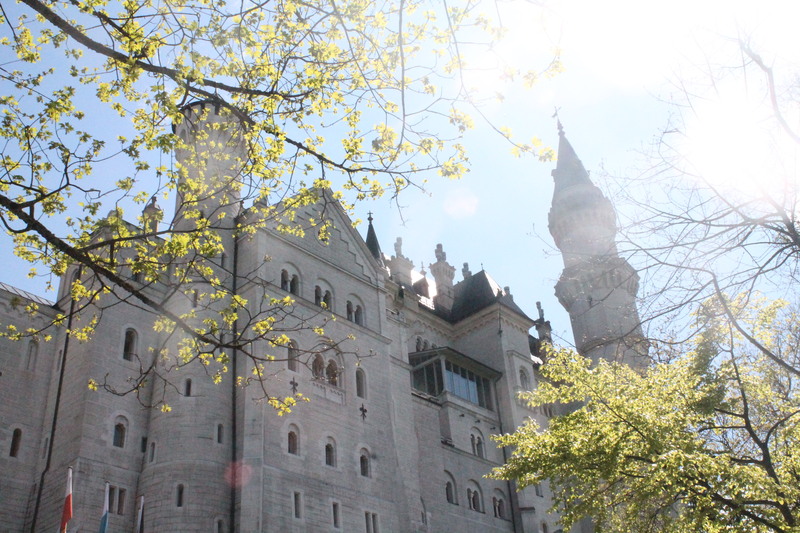 A few weeks ago, on my birthday, I ventured off with a visiting friend on a tour of Neuschwanstein castle (“New Swanstone castle”). With an early start, we needed to be at Munich’s central station (Hauptbahnhof) before 09:30 am for a guided tour. 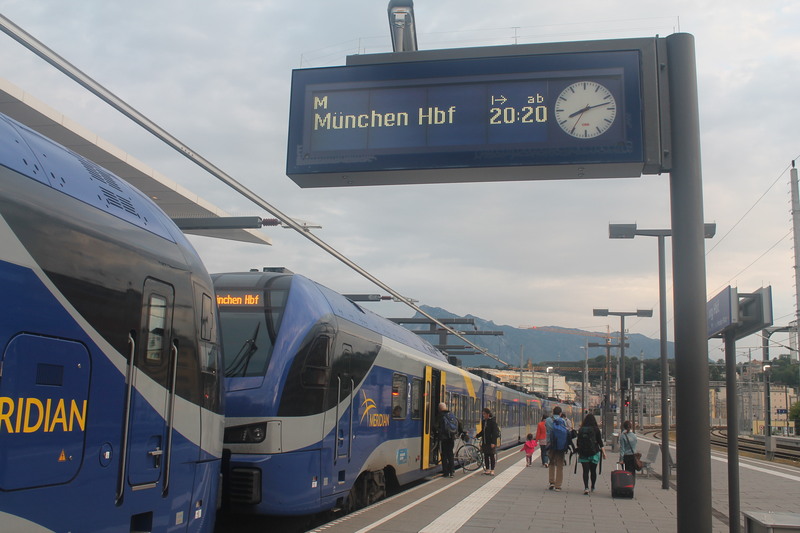 Packed with several snacks and drinks for the journey, we took the train to the village of Füssen in southwest Bavaria, about a 2-hour trip from Munich. 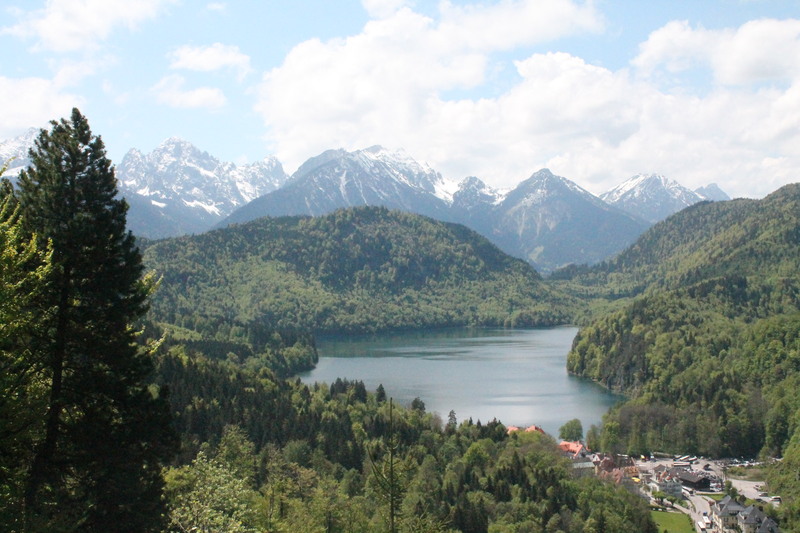 At Füssen, a coach then met us for the short ride to the village of Hohenschwangau. 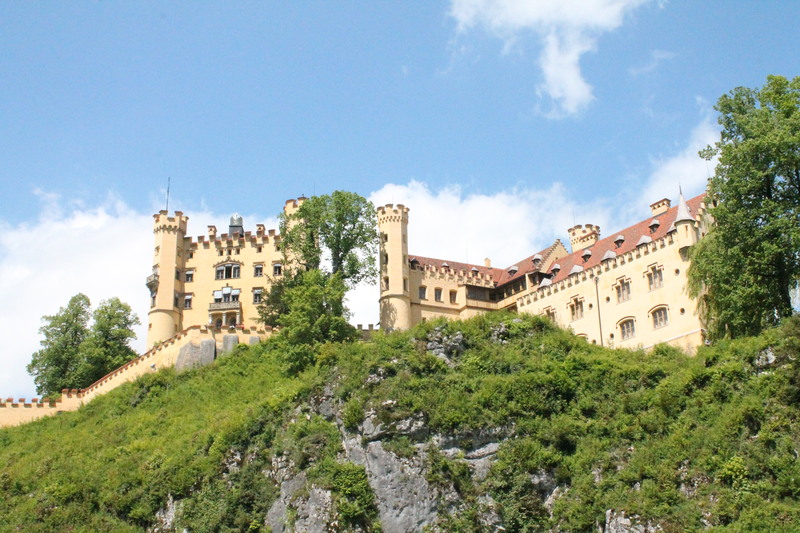 We began the tour in sight of Schloss Hohenschwangau, the childhood residence of King Ludwig II of Bavaria and was built by his father, King Maximilian II of Bavaria. From here, we made our gradual ascent towards Neuschwanstein. The weather treated us very well indeed, offering us some of the best views of each of the castles. The weather that week had been rather wet, so this came as a complete surprise. Only the day before was it almost completely overcast. Braced for inclement weather, I wore my coat and jumper which soon turned out to be a mistake in the heat. Overall, we were treated to some stunning views. A truly brilliant birthday. A couple of weeks ago I got to take a short trip back to the UK which was a chance to meet up with some old friends. As much as I have been to London countless times, it always amazes me how very much there is still to see – such a vast array of museums, galleries and sites, in a city so rich in culture and history. 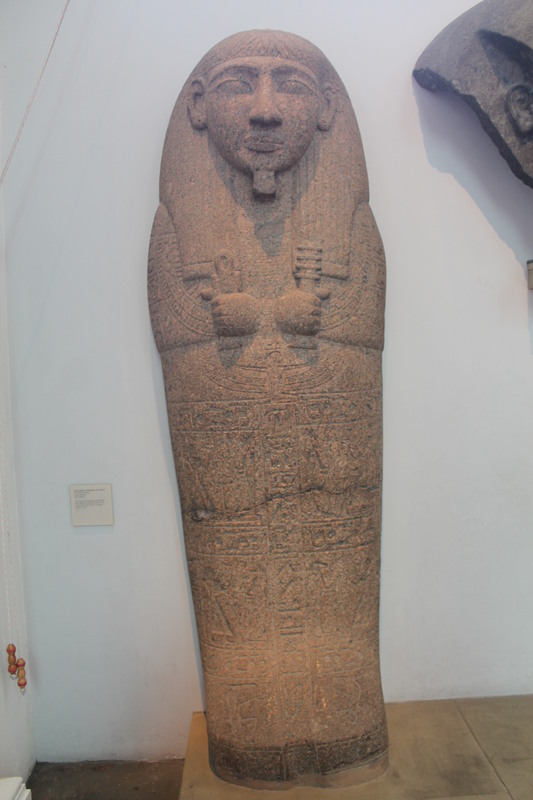 To my shame, I had never visited the British Museum (or at least if I did, I was so young, I don’t remember). I frequently visit the National Science Museum and Natural History Museum, both in South Kensington alongside the Victoria and Albert Museum (V&A). My main interests are science and natural history and I always learn something new, of great interest in these. 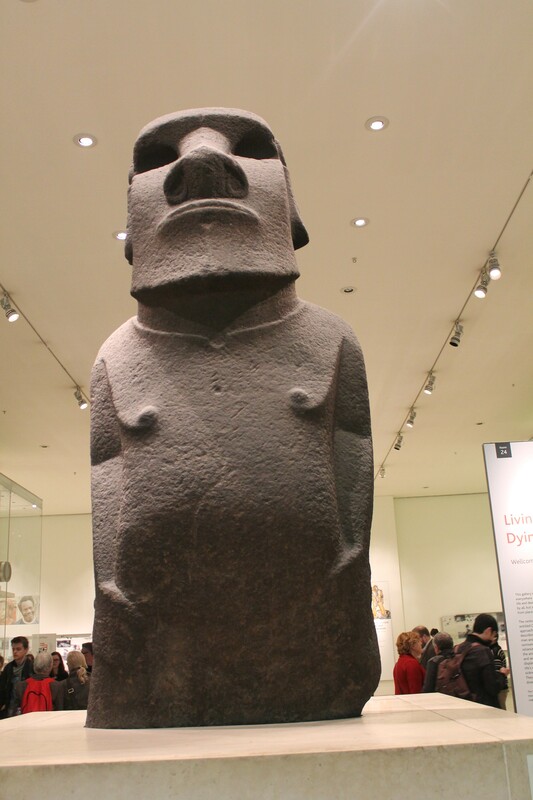 So, for the first time, I finally visited the British Museum which includes such a huge array of exhibits on human history and culture from all around the world. 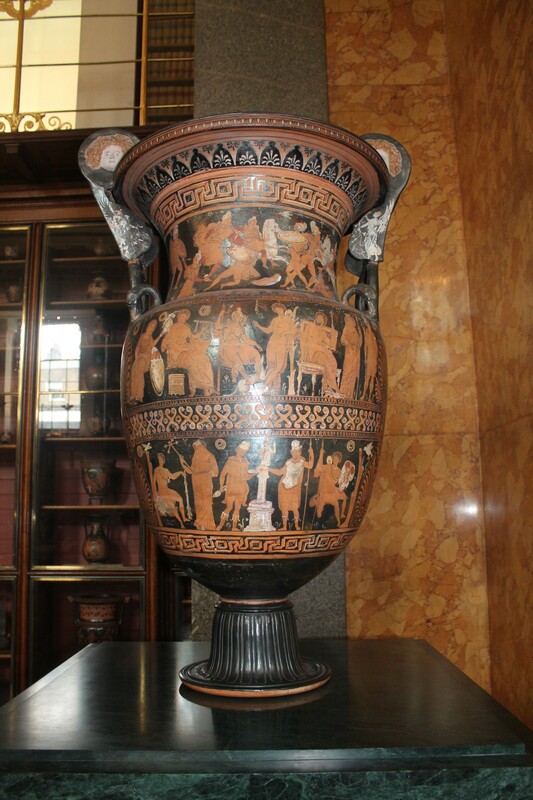 It really amazed me how very much there is there – a permanent exhibit on millions of works across several millenia. My mind was completely blown. 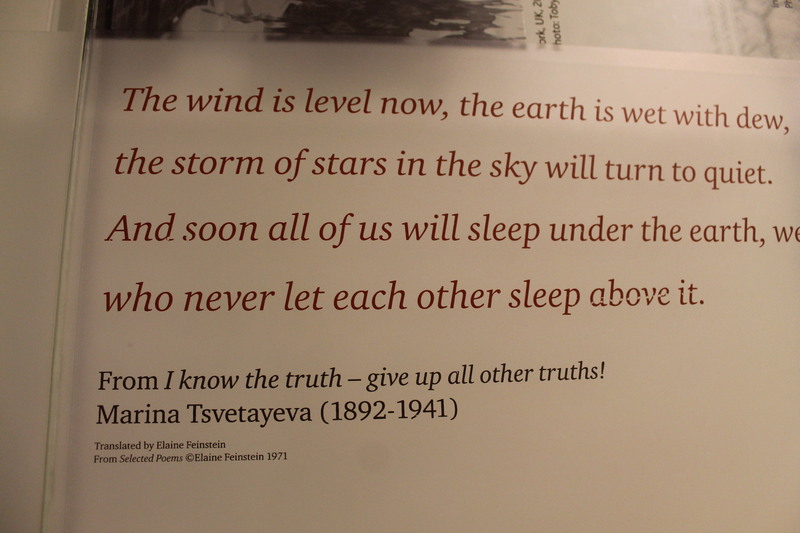 One thing I am extremely proud of is how UK national museums are completely free. I think removing a financial barrier is important to allow visitors to freely explore the diversity and culture our nation offers. Of course, it’s important also to ensure museums can sustain this. 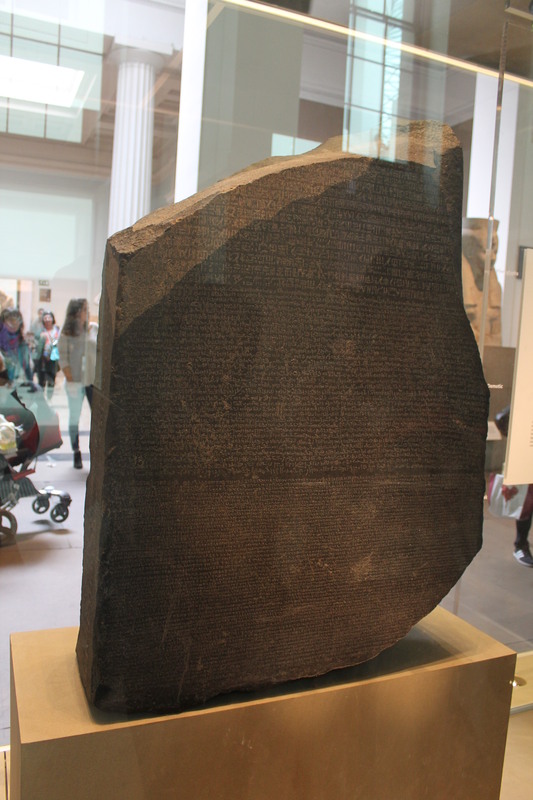 The highlight of my visit has to be the Rosetta Stone, which dates back to the year 196 BC at the time of King Ptolemy V inscribed with a decree in three scripts: the upper text is Ancient Egyptianhieroglyphs, the middle portion Demotic script, and the lowest Ancient Greek. It provided the key to unlock Egyptian hieroglyphs. The European Space Agency (ESA)’s Rosetta mission is so-named after this very stone. 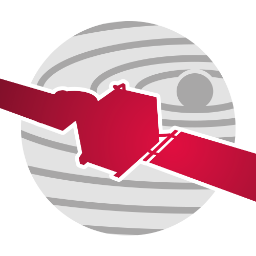 Just as the Rosetta Stone provided the key to an ancient civilisation, ESA’s Rosetta spacecraft will unlock the mysteries of the oldest building blocks of our Solar System – comets. (Read more here). 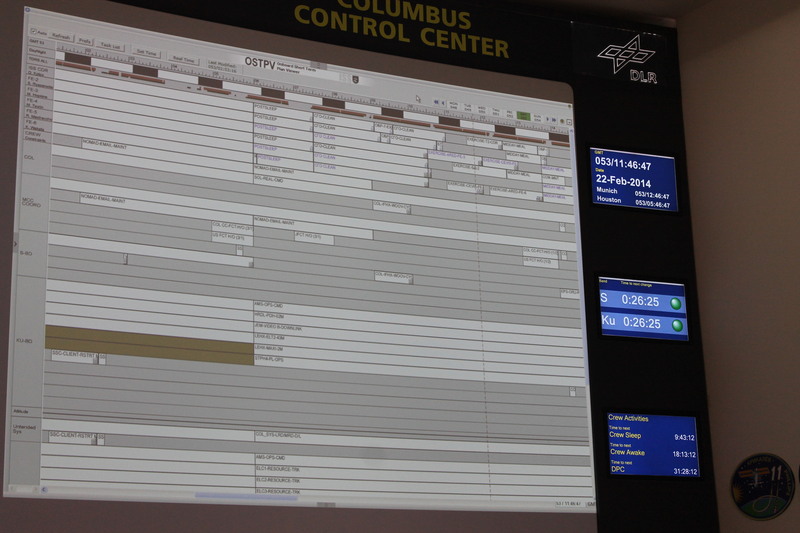 In January, little Rosetta woke up from a deep space hibernation — a huge relief for ESA who hadn’t heard from its distant spacecraft for 31 months while it was conserving power. In November this year it will rendezvous with Comet 67P/Churyumov-Gerasimenko in the first to attempt a landing on a comet’s surface, and the first to follow a comet as it swings around the Sun. 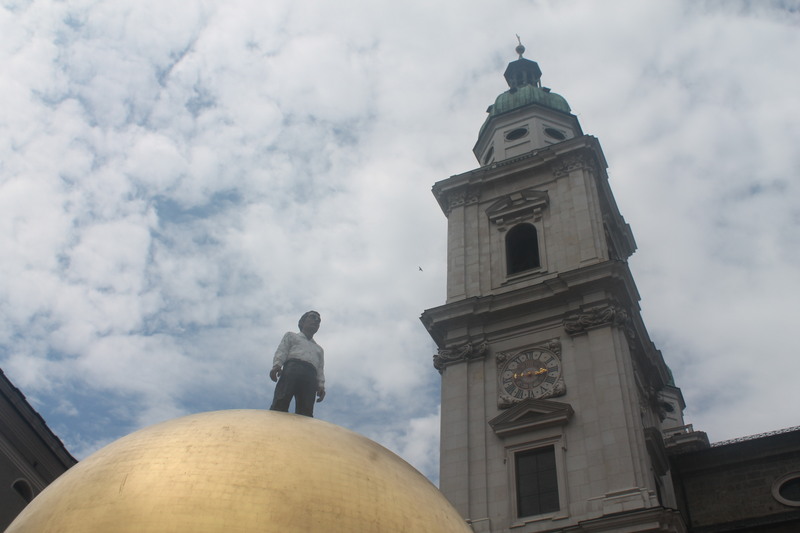 Over the weekend I re-visited a city I grew to love over my short time living there last year – Vienna. In a short three or so months, it became my home; one I became rather fond of. It was my first experience living outside of my country (UK) but most difficult was not knowing the language, which I quickly had to familiarise myself with. I only ever learnt French and Spanish at school (which I became rather fluent in at the time), so this was a completely new experience. Looking back, I realise how much it changed me as a person and gave me the confidence to travel more and more, going forward with new experiences abroad. One year ago, I attended the UN COPUOS (United Nations Committee on the Peaceful Uses of Outer Space) Scientific and Technical Subcommittee. 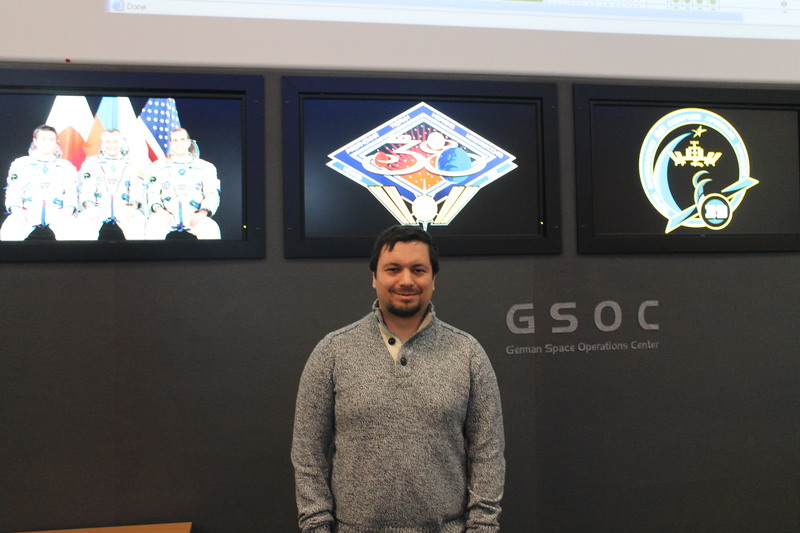 It was a privilege and honour to present there on behalf of SGAC. This year unfortunately, I have been able to attend the subcommittee, but I have been following it closely on Twitter at #COPUOS. Instead I was able to return over the weekend while a number of people were visiting the city, along with the friends I made while I lived there. 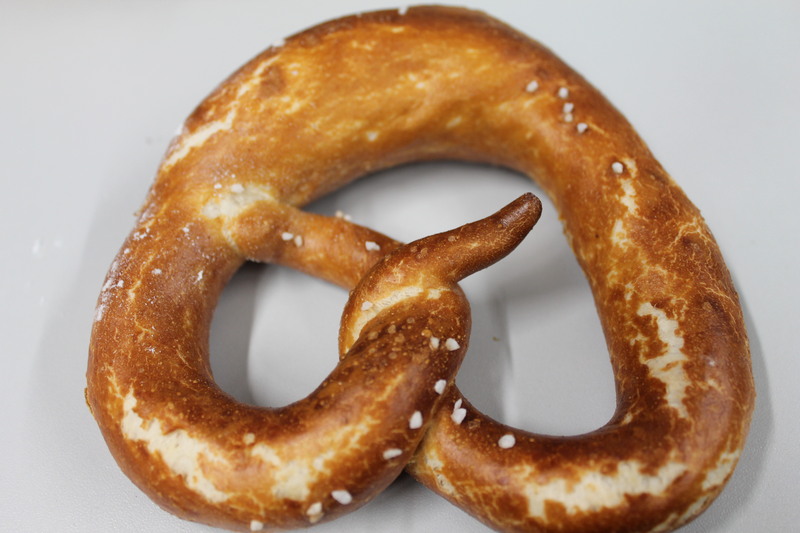 Vienna is only 4 hours away from Munich! This season is typically ball season in Vienna, something I was unfortunate to miss while living in the city. It was a great excuse to return and see some old friends (see featured image). Many of us booked to attend the Johann Strauss Ball, as part of The Sound of Vienna season – a very classical Viennese ball. I suppose I like to think I can dance. Maybe after a few drinks, I might try out some of my moves! My dancing skills may well be questionable by most. It was great therefore to have some Austrian natives (friends) teach us how to Waltz and Quadrille. I knew of the former, quite well knowing some classical music, but I only very vaguely knew how to dance it. Quadrille was completely new for me. It does seem rather complex and it is hard to get right. There are several parts to learn in the sequence, making it quite tricky to bring together. In particular, I was taught the dance in English and knowing only a little German, it was difficult to understand the instructions given from the stage. The sequence was sped up more and more, which made it even more difficult but rather funny. 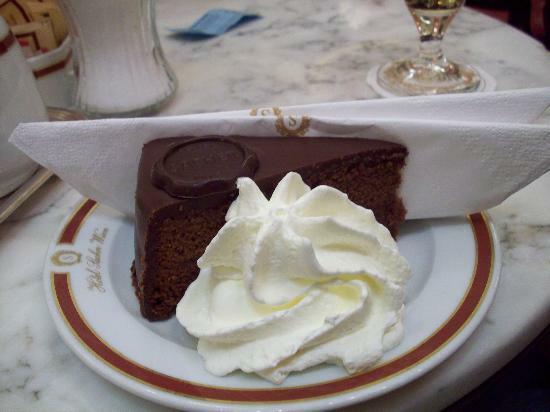 Of course, Vienna wouldn’t have been complete if I hadn’t revisited a Viennese cafe for Viennese coffee and torte (cake) (see featured image above). Overall, a very classical Viennese weekend. 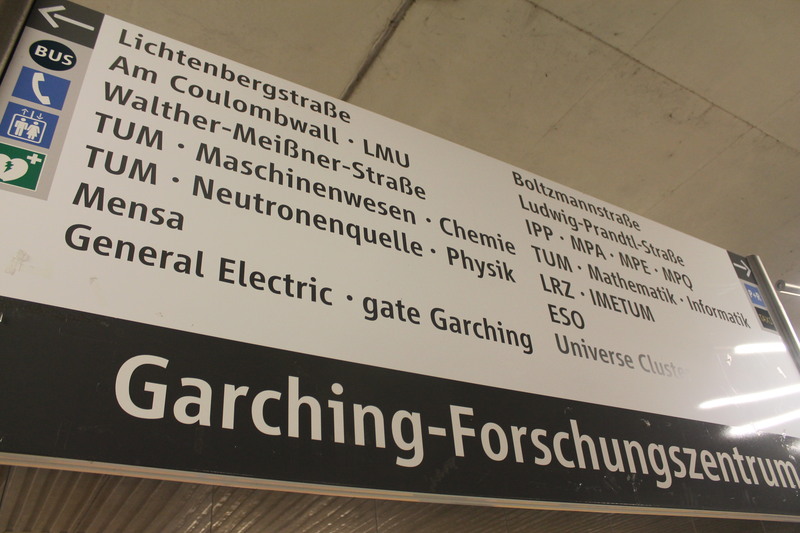 I shall hope to return soon for SpaceUp:Vienna and Yuri’s Night. Every so often, I feel, it is time for a refresh. 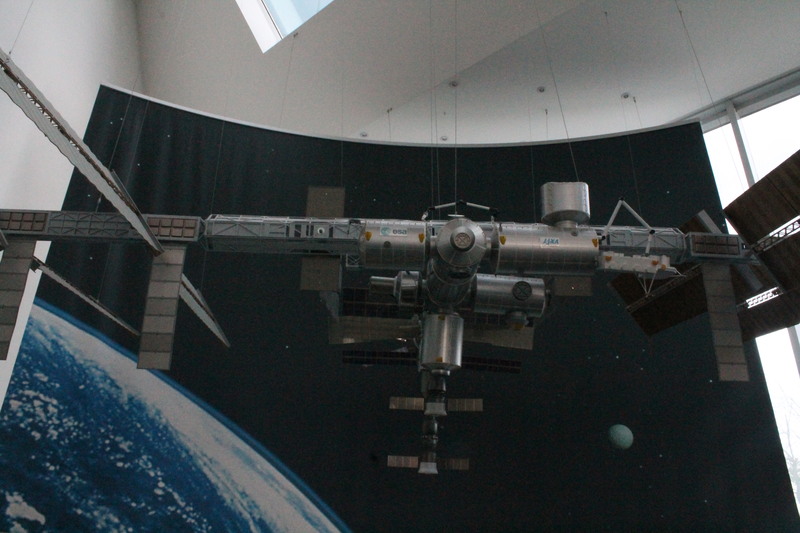 I started out with a blog with Google Blogspot back in about 2009, when I was selected as the UK Student Representative for the International Year of Astronomy 2009 (IYA 2009). I attended the Opening Ceremony in Paris at the start of that year and later I went to Krakow, Poland, for the International Conference of Young Astronomers (ICYA) 2009. In the aim to be more professional, I then updated to more of a website with Freewebs which contained some of my work, as I wrote less for my blog. I sought to incorporate more of my work and interests. I imported my old posts to this site and would write the occasional post here and there when on my travels. I am more of a social media “microblogger” these days, using Twitter among other sites. Various sites such as LinkedIn allow you to update your professional work, Facebook is good to share updates with friends and Twitter is a nice medium, I find, for general interests. In recent months I have slowly been incorporating these onto my site, which you see today. Maintaining my blog alongside, I have tended to find quite tricky. My aim is for my website to be more visual and for my blog posts to be less text heavy. These past number of years I have been travelling a lot, taking in new experiences and learning much along the way. I really enjoy photography and own a Canon EOS 1100D DSLR. 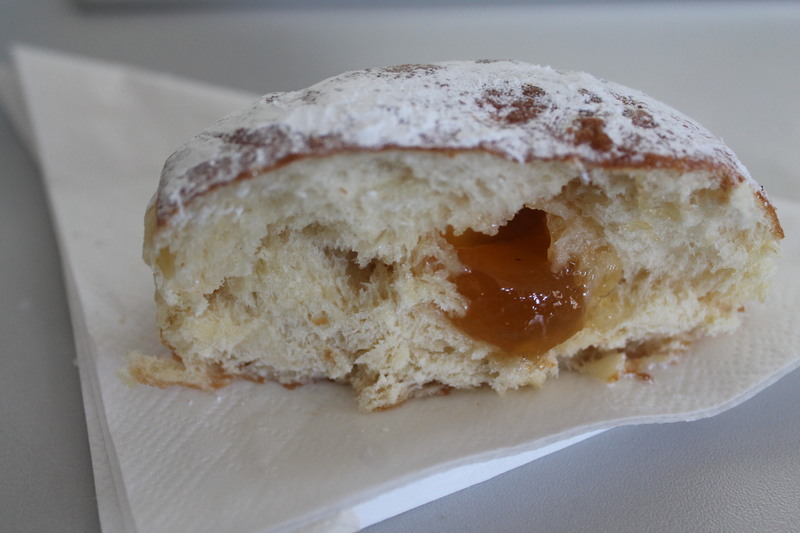 I frequently take images and I think I can maintain blog posts more easily in this new format. This is an interest I really want to build on as well. I am also seeking to incorporate more of my professional work and am taking on more of a professional look website, alongside my interests and travel. My main interest, astronomy, is also a very visual subject. I aim to communicate this more effectively using a visual theme. 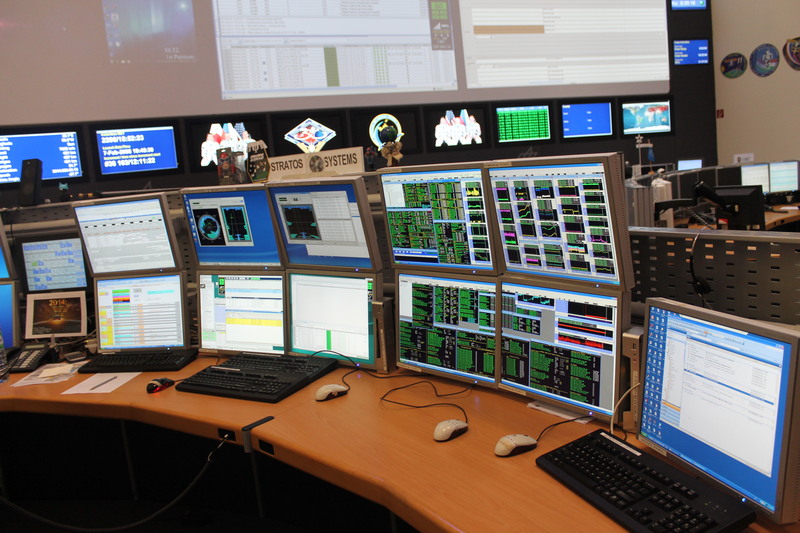 My main area of work is in science communication, as I am working as a journalist, science communication intern at the European Southern Observatory. Before that I was at UNAWE and I currently support activities in UKSEDS and SGAC, among others. My aim is to turn my site into a more user-friendly, visual experience with better updated content. You can see featured content more clearly as you enter the site. To the left sidebar you will see my main activities, according to category of my latest blog posts. The top menu still contains my usual activities, publications, CV etc. which I am currently updating and reorganising in line with my latest work. You can see I have also added RSS feeds for ESOcast and HubbleCast, which I am currently working on at ESO. You will also find the latest couple of Space Scoops from the UNAWE site in an RSS feed, which you can find at the bottom left-hand side. I also maintain featured content on Portal to the Universe, which you will also find in an RSS feed, to the bottom of my new-look website. A couple of years or so ago, I upgraded to WordPress, which has also undergone several changes throughout the years. The themes they offer now, in my view are some of the best free ones available on the internet. I am really happy with WordPress’ latest update. 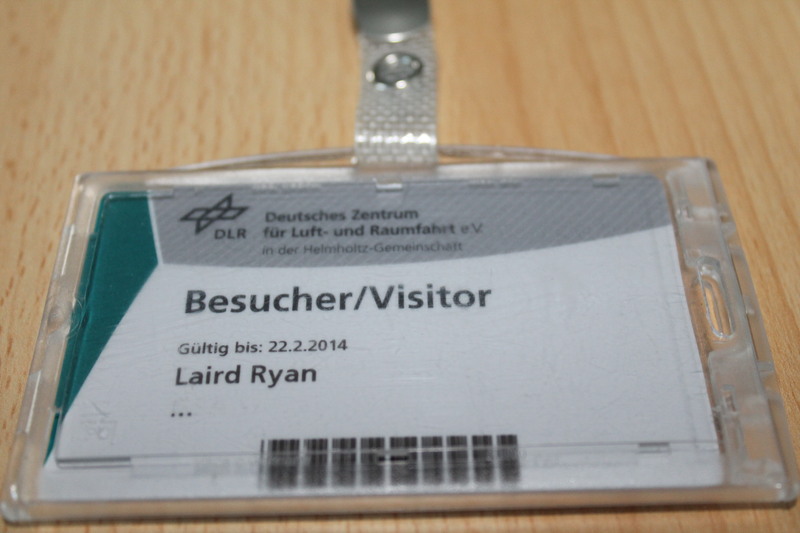 I hope to bring you more visual content while on my travels here, working in Munich at ESO and much more.